Drinking and driving is a very dangerous thing. Many people have been seriously injured or even killed. People drink and drive and they have slow reaction times. They also are breaking the law. Drinking and driving is a serious topic. You can also be killed if you are the one drinking and driving. If you were the drunk driver and you kill someone it can really affect there family. 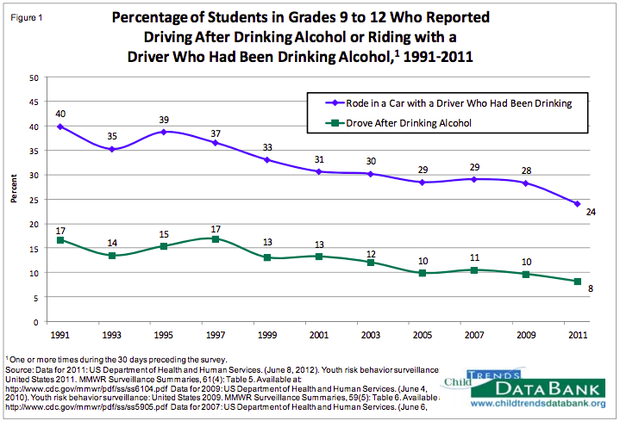 Teenagers and adolescents are most likely to be drinking and driving. Drinking and driving has decreased from the year 1991-2011. But drinking and driving hasn't completely stopped. It is also dangerous to be in a vehicle with someone who has been drinking. This is a serious topic. Drinking and driving is bad and you should not do it. So think twice next time you step in a car after you have had a few drinks.